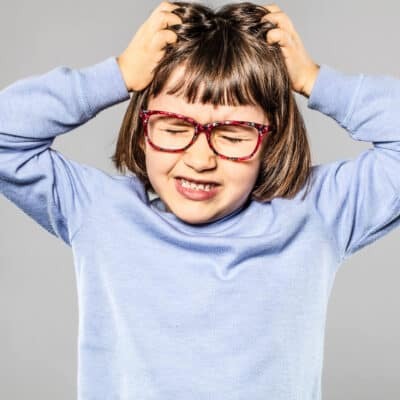 Caring for young children — really, children of any age — is a cyclical and exhausting experience. 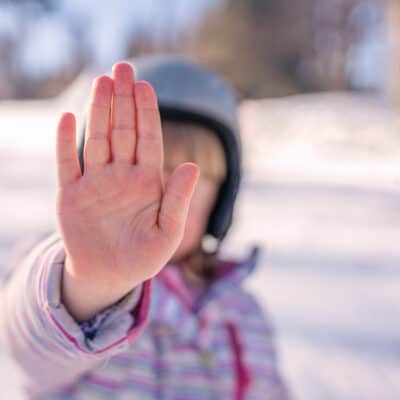 Adding in the responsibility of producing healthy meals night after night, sometimes the invisible load of parenthood can begin to feel burdensome. When it’s 5pm and time to throw together a healthy meal for the family, use the one ingredient rule and you won’t have to hodgepodge ingredients from your fridge and pantry and hope for the best. Plus, when you use the one ingredient rule, you’ll have a week’s worth of meals ready to go, not only saving you time every night, but assuring you give your family a healthy homemade meal every night. WHAT IS THE ONE INGREDIENT RULE? 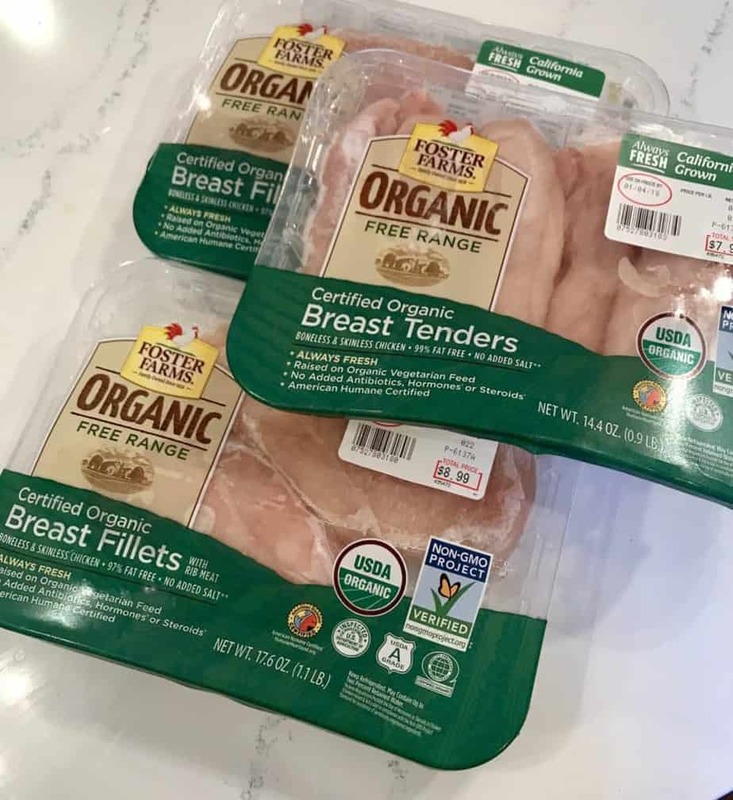 I pick one staple protein (Foster Farms® Organic Free Range Chicken is the favorite in our house) to use for the entire week’s meals. Then, knowing what my protein will be for the week, I’ll plan a week’s worth of dinners using Foster Farms® Organic Free Range Chicken. Here is what the packaging looks like and they come in Chicken Breasts and Tenders based on what you have on the menu for the week. Start the year off fresh – and the easiest meal planning journey ever – with healthy and organic protein. You can also go to the Foster Farms® website to find recipes your family would love. Next, I batch bake the amount of the protein I’ll need for the week and cook it in the oven without any seasoning. Once the chicken is cooked, separate it into portions for the meals I’ll need during the week and prep the food into a variety of styles: shredded, cubed, strips, ground, etc. and save into separate containers for each designated meal. Essentially, you’ve cooked all the protein you’ll need for the week using the ONE INGREDIENT RULE and all you do at night is assemble, heat and serve. Meal planning and prepping the protein takes no more than an hour on the weekend but the time-savings over the week is well worth it! As a conscientious parent, I make it a priority to ensure my children are eating healthy and organic food, as often as possible. Their overall health, immune system, development, behavior and even quality of sleep depend on the food I provide them. I know what I put in their body will affect their wellbeing, so I always choose a protein that’s organic, from a trust-worthy source and easy to digest when I plot our meals. We love Foster Farms® Organic Free Range Chicken because it’s USDA certified organic, is 100% natural and they never use any antibiotics. 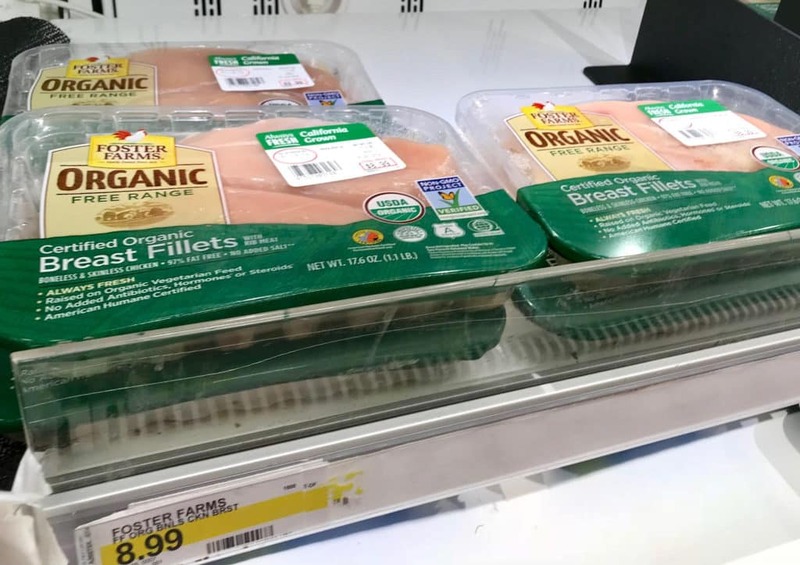 Side Note: we shop at Target to get this organic chicken in Colorado, but if you’re on the West Coast, you can also grab it at Walmart. I recently read a study found that organic chicken contain 38% more heart-healthy omega-3 fatty acids than non-organic chicken, so we’re team organic all the way! Foster Farms® Organic Free Range Chicken is West Coast Grown and organic vegetarian fed so you know you’re feeding your kids good quality protein from a US source. You can read all about Foster Farms® chicken on their website. I personally experience how busy Motherhood can get and in the chaos of taking care of kids, shutting them to and from activities and doctor appointments, the one thing you don’t want to sacrifice is high-quality and trust-worthy sourced food. When I choose meals for dinner, I also like to think ahead for leftovers and picking food I know to be good for kid’s lunches the next day too. For example, Chicken Tacos and Parmesan Chicken Dippers would be great for dinner and easy to pack for lunch too so I make these on weekdays where they can be repacked for lunch the next day. Timesaving Tip: If you know you’ll want extra for leftovers or have an extra meal on hand for later in the month, double the batch. 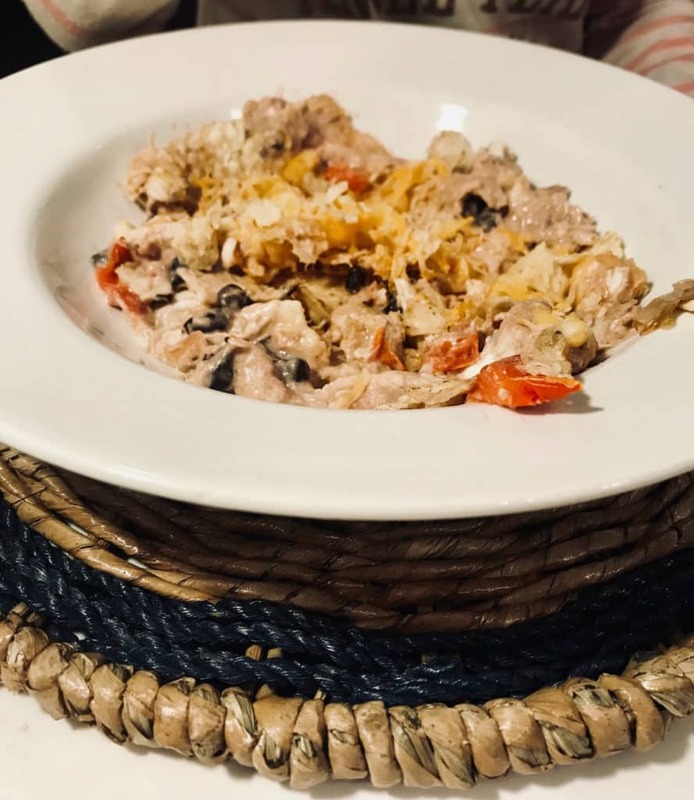 Below you’ll find the recipe for Shredded Mexican Chicken Casserole to get you started on your One Ingredient Meal Planning Journey. Mexican food can be tailored to your spicy – or non-spicy – taste buds! The shredded chicken, beans, cream cheese and salsa in this recipe are going to leave your family satisfied and asking for seconds! Lightly grease an 8’’ square or round casserole dish for your meal. Add in the diced tomatoes, black beans, diced green chilies and stir. When it’s warm, set the pan off the heat near the casserole dish. Check out Foster Farms® website for recipes your family would love and more information on their antibiotic free and organic chicken. This is a sponsored post with Foster Farms® to share how my family saves time and solves dinner dilemmas using the one ingredient rule when we plan meals for the week.